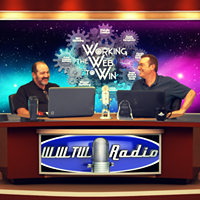 Working The Web: The Tao of SEO Revisited and Revised. In the original article, “The Tao of SEO,” written by my partner Carl Weiss, he emphasized the importance of concentrating on pleasing your audience versus chasing search engine algorithms. At that time, Google was making big changes by using smarter search bots that could spot black hat marketing trickery like keyword stuffing and link farms. What was amazing to me at the time was how many businesspeople were paying large monthly SEO marketing fees for black hat work that could be finished in a couple of weeks. When you asked a business person what they were paying for at that time, the answers almost always were, “I’m paying for SEO!” When we asked what the actual work that the SEO vendor was doing, none of the businesspeople had a clue. Back then as it is today, there are many vendors and so-called SEO professionals who profess expertise for achieving high search engine ranking. Many are charlatans, committing fraud and scams of varying types. 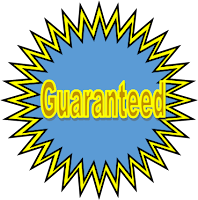 Many of these so-called SEO companies charge attractive fees that lock you into monthly agreements with no recourse or guarantees that the SEO they provide will actually produce results. Those who get caught in these scams don’t see any positive results and after six months or so put stop payments on the credit cards to get out of these contracts. Many respectable SEO companies have rebranded themselves as search marketing or content marketing companies because this is a much closer description to what they actually do to achieve search ranking. Now, let’s discuss the concept of the Tao and how it relates to SEO. 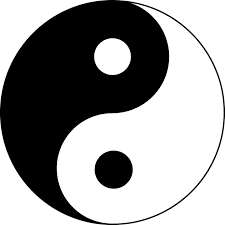 #1 The Tao – In the Orient, Tao is the way of things, the harmony in life - the balance of yin and yang! To achieve high search engine ranking, a marketer must be willing to provide the marketplace content that “fits” the needs and desires of consumers. It must be in tune with consumer sentiment and produce a positive brand and reputation. Not being in harmony with the consumer’s needs, desires and sentiments, goes against the Tao. #2 All things change – In the Tao, it is said that all things are changing and are impermanent (except the Tao). In SEO marketing everything evolves all the time. Especially consumer needs, desires, and sentiments. However, the “Way” has stayed the same for many years. Search ranking position has always been based on popularity (the way). What causes popularity has evolved, but many of the elements that lead to popularity have not. For example, high quality, relevance, timeliness, usefulness, connectedness has always played a part in what produced popularity. #4 Those Who Violate the Tao Will Suffer – As stated earlier, there are many so-called SEO Experts. Many of the charlatans still use black hat trickery to produce search engine ranking. For example, a common ploy used today is to produce bogus positive reviews, testimonials, recommendations, and five-star ratings. This usually works for a while until Google or another search platform catches them and sandboxes or de-lists their URL. We have seen this happen many times over the last decade. Black hat tricks will work for a while, but eventually, the bad karma chickens will come home to roost, and your URL will be wiped from existence. #5 Following the Tao – For our company, we believe that “The Principled WAY of Marketing is the Tao. In other words, employ marketing principles that do not change (or change slowly) is the best course of action. We have always believed (what Google and other search engines say) that search ranking is based on popularity and that you have to concentrate on what makes a website popular from a positive perspective. Unfortunately, being negative can get you on page one as well (because of trending factors), but its shelf life is very short lived. Examples would include; heinous, salacious and hateful acts posted to YouTube or other social sites. These become quickly popular but also get pulled quickly by the search platforms. SEO Has Evolved - Today, SEO has evolved into a multifaceted marketing endeavor where no one marketing element will win you a high ranking. Google has admitted to more than 400+ ranking factors in the past. We have always followed their lead when they have publicly stated that search ranking is based on the popularity of the webpage in question. Google has further stated that ranking is affected by the amount of traffic a page receives, the number of quality connections it has, the authority of the page, its quality, type of content, its relevance, timeliness, and usefulness. 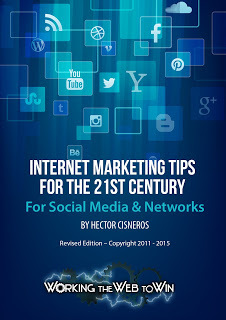 The social nets have a direct effect on these elements as well since the volume of people reading, commenting on and sharing a page’s content directly affects a page’s popularity. Search engine A.I. algorithms also have a major impact on a page’s ranking. This effect is constantly changing because many A.I. algorithms are following trends and elements that dynamically change all the time. As stated earlier, Google says there are hundreds of ranking factors. The elements mentioned in this article are the ones we believe to be the most important. Today, technically speaking, although a page’s URL is displayed on a search page listing, it is the content of that page that produces its ranking. Poor content of questionable quality and authority will not be popular. If it is not useful, it will not be shared, read or commented on. In other words, it will not be popular and will only be seen by a few people. It will also not rank high. With so many ranking elements in play, how can anyone profess to know or guarantee a method of reaching high search engine ranking? There is only one method that we know of that works consistently. That method requires that a search engine marketer engages in as many of the major marketing elements as necessary to achieve the result. Our Method - Before we quote a price for a page one position in Google or any search engine, we analyze the prospect’s current web presence. We do this to determine what they are currently doing right, to find their weaknesses, challenges and to determine what their competitors are doing as well. We look at their goals, target market, unique selling proposition, offers, page layouts and so on. Without doing this analysis, it would be impossible to determine what is necessary to get on page one, much less leapfrog a competitor’s position. On top of this, we calculate the number of labor hours needed to engage the many elements that will serve to produce the desired ranking result. We also take into account the fact that we will be required to monitor the results of our efforts and then tweak our methods using the knowledge we learn as the campaign progresses. That is, for any SEO marketing method to consistently succeed, it must address all the elements needed to reach a page one position by exceeding the competitions efforts. Then you must monitor the results of your campaign’s elements and be willing to address changes made by the competition, emerging trends and changing habits of consumer and their sentiments. 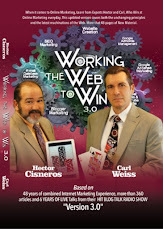 My business partner Carl Weiss and I have more than 48 years of combined experience marketing on the web. SEO, or “search marketing,” as it should be called today, is a big part of our everyday mission. 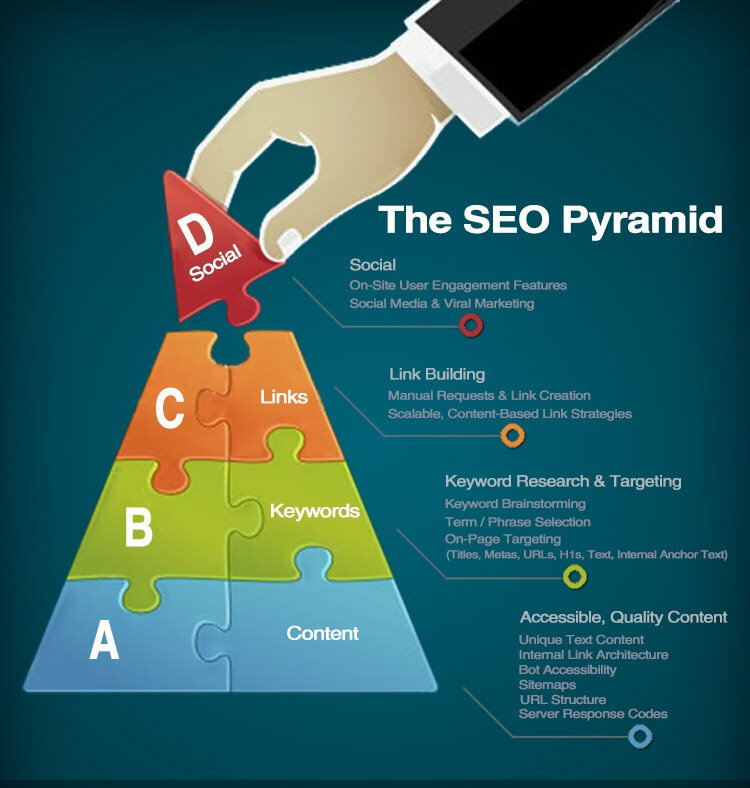 It is important to note that this article only focuses on a segment of internet marketing. A person can achieve some marketing success by engaging in a single element, such as blogging, social media, pay per click, or podcasting. This will still require a lot of dedication. Search marketing, also known as “Content Marketing” has become more of a marketing venue for those financially committed to page one success. It requires a lot of time, energy and labor to engage several marketing elements on a daily basis. We regularly provide marketing campaigns that include ghostwritten weekly blogs, daily social post, posting to the top 100 search directories, YouTube or Facebook Videos and pay per click ads as part of a single campaign designed to leapfrog a competitor’s page one position. In some cases, we have been able to produce a page one position in less time than expected. However, by correctly employing the 20 ranking factors listed above, we have always been able to lead our clients to page one marketing success. We hope that you will use them as well. If you find that this is too much to handle, outsource this work to a reputable company, preferably one that provides a guarantee as we do. I believe, since the publication of the original article written back in 2012, that SEO has undergone a complete metamorphosis. The term SEO no longer has any real meaning in today’s marketing vocabulary. If Carl had written, “The Tao of SEO,” today, he would have called it “The Tao of Content Marketing”. This article provides an in-depth look at how SEO has evolved since our first article on this subject was published in 2012. 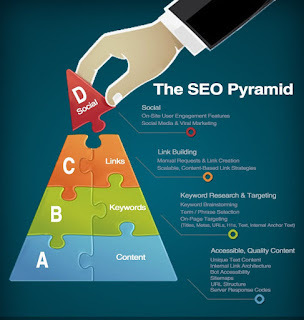 It provides a list of 20 important Search Engine Ranking factors that were garnered from Google and other SEO sources. More importantly, it provides a proven method we use to achieve page one rankings for our clients. It will help anyone avoid common SEO marketing mistakes and provide the reader with an outline to page one success. Additional links to other related articles are provided along with a link to the BlogTalkRadio show notes page. If you feel your business hasn’t found profits it expected on the Internet, we can help with guaranteed services that produce positive results, or you don’t pay. We also make sure that your websites are secure. If you would like to see your websites rank higher, you can contact us at by dialing 904-410-2091. We are very good at cost-effectively creating tangible online results for our clients. We also provide 27 different digital products to help businesses get their message out. If you’re ready to take your web results to the next level, simply fill out the form in the sidebar of this blog, and we will provide you with a free marketing analysis which will show you how to get better results. 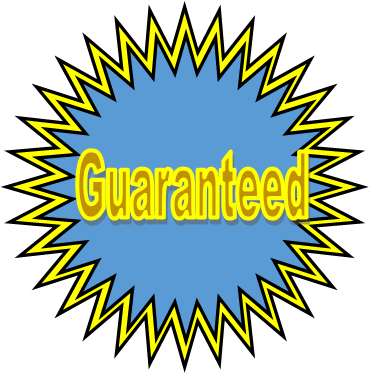 Our claim to fame is that we are one of a few companies that actually provide real guarantees at a fair price.